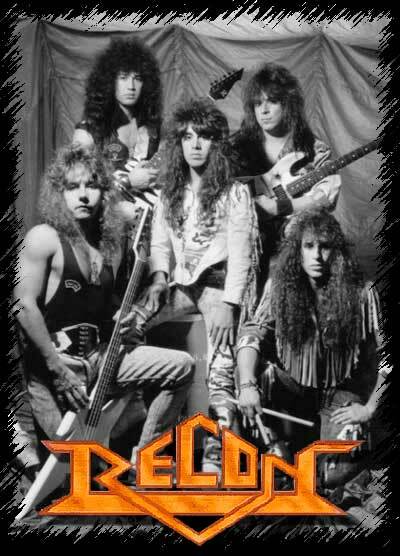 Speed metal band formed in California in the late 80's. Members have included George Ochoa (guitars), Vett Roberts (vocals), Mike Grato (bass), John Christianson (drums) and Eddie Starline (ryhthm guitars). The band broke up shortly after the release of Behind Enemy Lines with George Ochoa joining Deliverance shortly after the release of their first, self-titled cd. 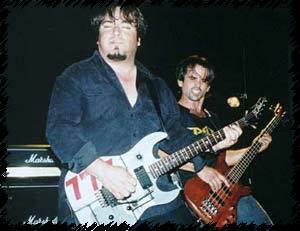 Later bassist Mike Grato and drummer John Christianson would join Deliverance as well. 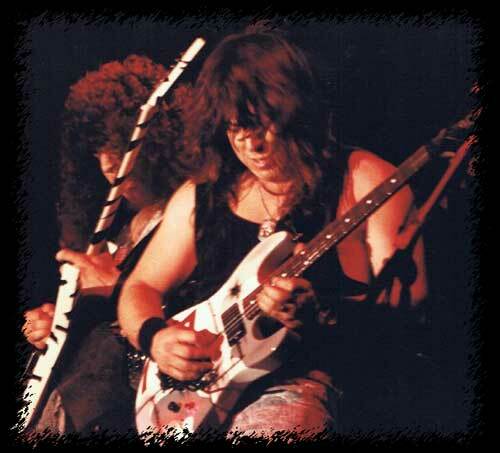 Deliverance guitarist/vocalist/founder Jimmy Brown also has co-writing credits on "Behind Enemy Lines" as well as plays guitar solos on a few cuts. The band reformed in late 2000 and played together again at the Cornerstone 2001 in Bushnell, IL as well as a handful of other festivals in the years to follow. Rod Dickenson replaced Vett in 2002. The band has written new songs and has performed some of these songs live. Hopefully someday they will pull it together for a new CD. 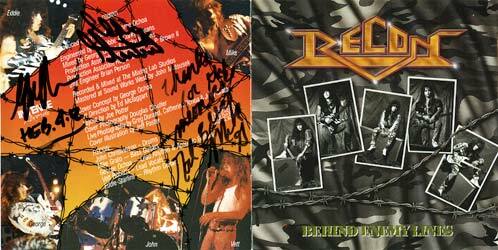 "Behind Enemy Lines" is Recon's one (and only) CD. I purchased this album as a new release. I had waited a long time for a full length disc from this band after being blown away by their two tunes on California Metal II. "Behind Enemy Lines" did not disappoint. 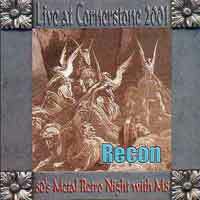 Recon play a brand of heavy metal that is very melodic yet retains it's heavy feel. Lots of galloping, tons of crunch, and a hook in every song. 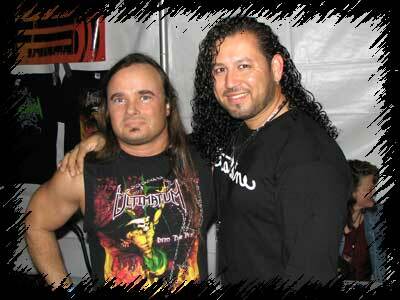 Vocalist Vett Roberts seems to have studied at the Geoff Tate/Queensryche school of metal singing. Unfortunately, this would be the only disc by this band as guitarist/founder George Ochoa would leave to join Deliverance. 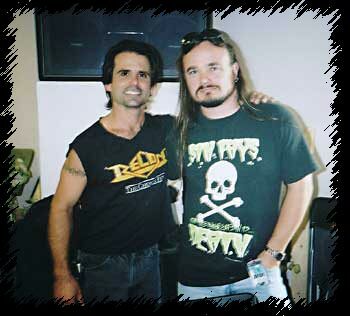 A few years later bassist Mike Grato and drummer John Christianson would also join Deliverance. Actually, Deliverance main man, Jimmy Brown co-wrote the heaviest song on the album, "Behind Enemy Lines," and also sang background vocals as well as played a guitar lead in "Alive." Vengeance Rising growler, Roger Martinez, also makes a guest appearance. Vett Roberts resurfaced many years later and sang as a guest performer on one song off Mortification's "Primitive Rhythm Machine." My original Intense pressing is autographed by Mike Grato, Eddie Starline and George Ochoa. This album was re-release in 2001 by M8 Records with several bonus demo tracks and the two tracks from the Cali Metal compilation. 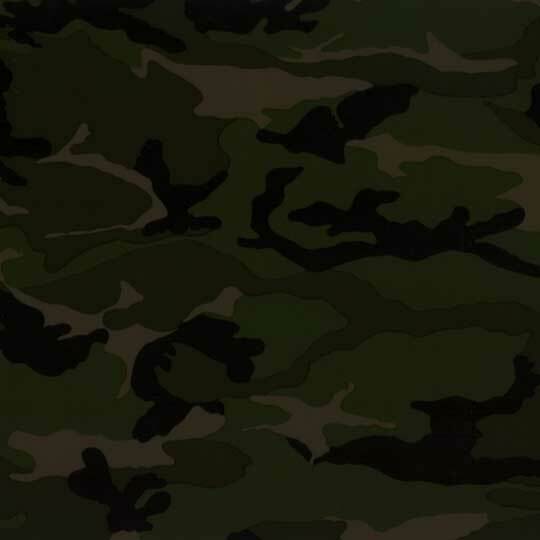 The artwork however, is inferior to the original and the mastering is not better than the original either. I now have both versions. Hmmm, this cd is for die-hard fans and collector's only. The band's performance is good overall, but Vett's vocals sound very strained and his voice cracks quite often. It's actually quite disappointing. I'm not sure if Vett is just out of practice or not feeling well, but he almost never hits the high notes and is quite often flat. I guess something could be said of the fact that this disc is recorded live without any overdubs, but sometimes I think I'd rather have the overdubs than hear all the mistakes. Certainly this is one instance where I would have prefered for a band to go in and correct a poor live recording in the studio. As with most M8 releases, the packaging is rather cheap, but at least unlike the Deliverance Cornerstone insert, there are a few black and white live photos from the show. The bonus tracks are from the band's 1989 demo, which are a nice bonus. "As far as Vett goes...I have something that would explain how he sounded at the Cornerstone show. I read in many different places on the net that people said he didnt sound good...well I talked to George and after listening to that album and the Sacred Warrior album I realize that neither one of them sound that good as singers. I knew that this 2 guys are some of the most talented musicians out there and there is no way they could have sounded like that unless...there was a problem. Yes there were no monitors working on stage.When you sing in the style that this 2 guys sing, you really need to hear yourself so you wont blow your voice. Remember both of them are using what singers call falsetto and if you cant hear yourself chances are you are going "has been"(someone actually said he was not trained or he was too old for it)."